A huge surprise was waiting for me in my email…. 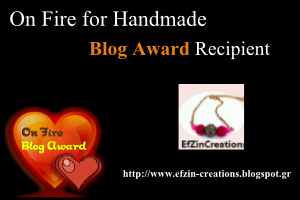 a blog award for EfZin Creations from On Fire For Handmade Team! A great honor! It made my day, since lately I am trying hard to improve my blog and it was really encouragingly this award!